Tim Lupinacci of Vestavia, was appointed by Gov. Bob Riley to serve as a Montevallo Trustee from the sixth Congressional District. 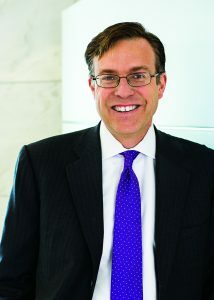 Lupinacci, shareholder in the Baker Donelson’s Birmingham office, is chair of the firm’s financial services department. He concentrates his practice in the areas of bankruptcy and restructuring, financial services and transactions, and health law. He has extensive experience with workouts and bankruptcies involving defaulted commercial mortgage-backed securities (CMBS) loans. Lupinacci is a 1988 graduate of the University of Montevallo where he received his bachelor’s degree in mass communication. He went on to earn his Juris Doctor from Vanderbilt University School of Law in 1991. Lupinacci is Baker Donelson’s representative in the Commercial Real Estate Finance Council. He is also the co-founder of Baker Donelson’s CMBS Special Servicer blog. He was honored as Fellow of The American College of Bankruptcy in 2015. He has received numerous professional honors including being named the Best Lawyers’ 2015 Birmingham Bankruptcy Litigation Lawyer of the Year. Alabama Super Lawyers listed Lupinacci as one of the top 50 attorneys in Alabama in 2012 and 2013. The Best Lawyers in America® has listed him in the areas of bankruptcy and creditor, debtor rights/insolvency and reorganization law and bankruptcy litigation since 2005. He has also been listed since 2009 in the bankruptcy/restructuring category of Chambers USA: America’s Leading Business Lawyers. Lupinacci and his wife, Ellen McElwee Lupinacci, are active alumni of the University of Montevallo. They have donated both their time and financial resources toward student scholarships. The Lupinaccis have also served as class representatives for the UM National Alumni Association. He is currently serving as co-chair of the UM comprehensive campaign.